It's a bit too early to hit the beach here in Maine as we dream about warm sand and endless sunshine. 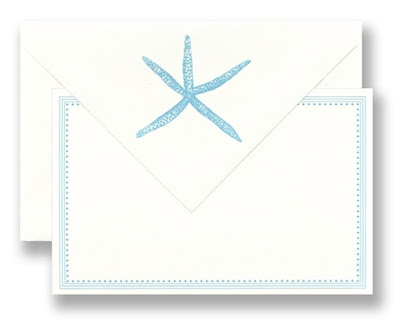 In the meantime, we are busy dashing off coastal notes on our latest starfish-motif correspondence cards—from our Vera Wang Grosgrain Border in turquoise to our William Arthur Embossed Starfish in cerulean blue! 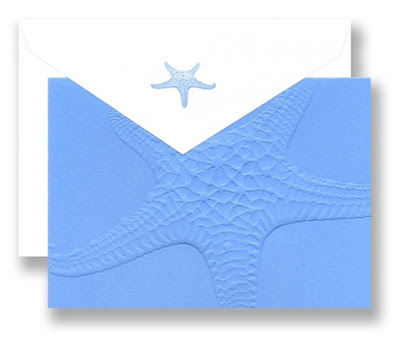 These beach-y boxed cards are sold in sets of 10.